Are you one of those individuals that are finding you don’t have enough time in your day to do many of the tasks you know you should do, but needs to be done. Why not arise abit early each day and fit in some of those things on your “To do lists”. In my case I find I’m more productive in the morning so I arise early than everyone else so I can get my readings and clients email or program done, listen to my back logs of audio-book that’s seems to be growing year and year but forget there exist. 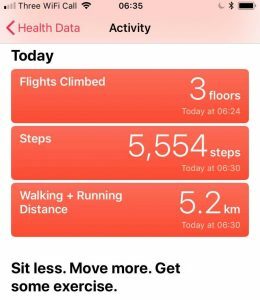 But another important thing I have become aware over the last few months was that I wasn’t moving as much throughout the day ie averaging about 4K steps per day even though I might workout 3-4days per week and work in a gym. So I decided I could kill two birds with one stone ie getting up early and going for on early morning walk to aid me achieving my personal step of reach 12k steps per day while listening to my audio-books. That does three things for me. 1- I get to learn new stuff. 2- Improve my cardio health. 3-Starting my day on a positive VIBE, with being in the Cheltenham, Cotswolds great outdoors with the fresh air all before 7am when everything seems to be quite, you can still air the bugs makes noise in the bushes as you walk by. This isn’t to say look at me, but more so to say think of when you’re more productive and try to incorporate things that will benefit you in the long run. If getting up 1 hr early is hard try 25, 35mins etc before you know it you’re getting up early and earlier the only downside is that you will have to go to be earlier which isn’t a bad idea seeing most individuals don’t get enough recovery throughout the week.